So you are planning to apply for permanent residence in Canada and is thinking of hiring the services of an Immigration Consultant or Representative? Do not let yourself be a victim of fraudulent immigration consultants. 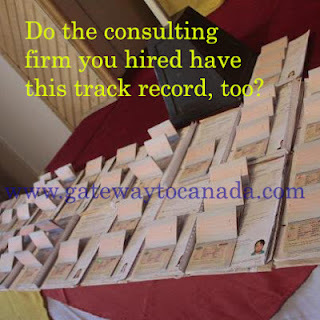 Immigration Consultants are regulated in Canada, check out Who May Represent You. Don't take the risk. Let Canadian Immigration Consultancy assist you!